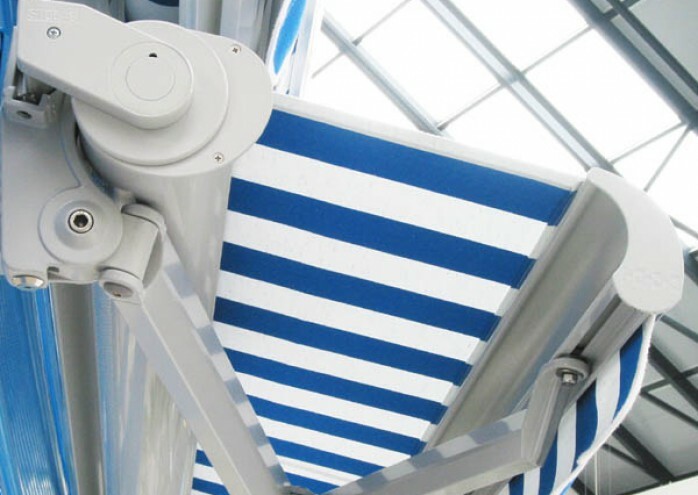 The Select-Box is a versatile folding-arm awning for medium-sized shaded areas. 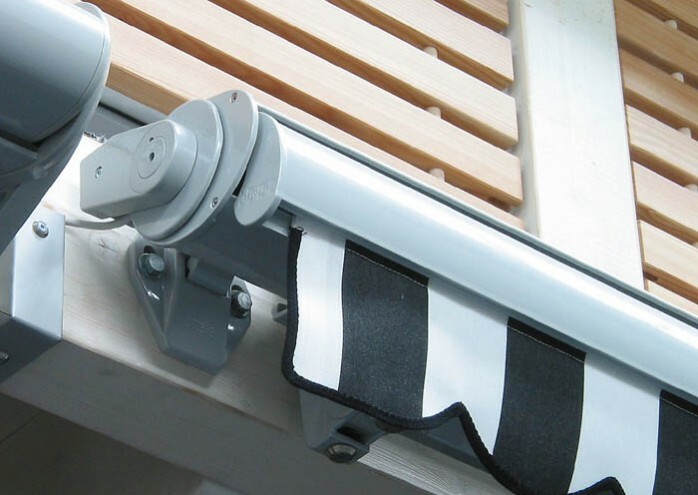 The patented semicassette hides the roller tube and fabric when the awning is retracted, which protects the fabric from wind, rain and other environmental effects. 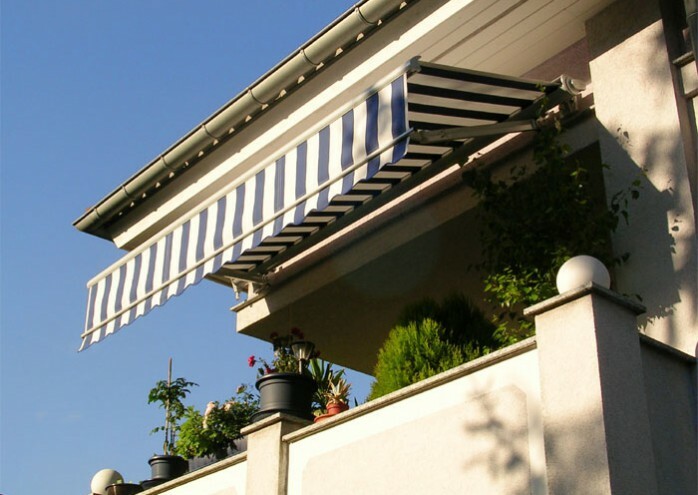 The sleek, low profile of the Select-Box, where only the arms show, also makes this awning a natural choice for roof mounting. 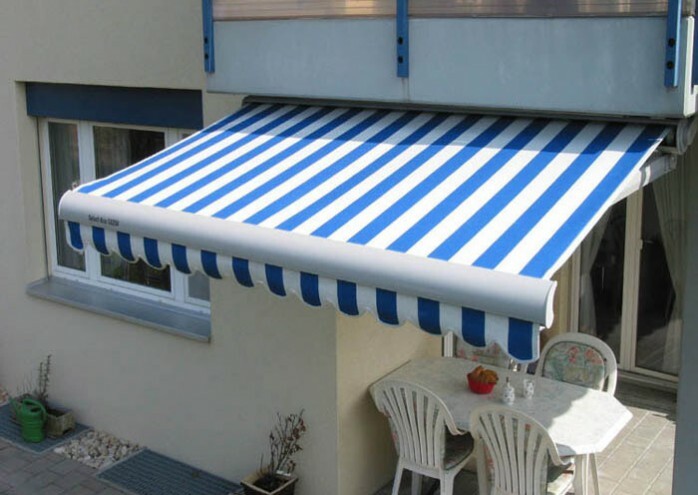 The awnings are operated with either a standard gear and crank or an optional electric motor. The electric motor also allows for the use of various remote controls and sun and wind sensors. The Select-Box is conveniently available in the drop-down Volant-Plus valance, which also provides additional protection against glare.